At JMI Limousine we offer the highest quality luxury limousine and party bus service that Portland, Oregon has to offer. We serve customers from every corner of the Portland metro area, including Wilsonville and the surrounding areas. When you book a Portland limousine from JMI, you will be getting the best luxury limo service at the best value in the city. Quality limo services are hard to come by these days. There is no shortage of Portland limo companies, but finding one that you know you can trust can be difficult. At JMI Limousine, we are devoted to making our customers happy. We can provide our acclaimed luxury transportation for funerals, weddings, graduations, birthday parties, bachelor/bachelorette parties as well as proms and homecomings. Our drivers excel at making our customers feel relaxed, comfortable and safe. Unlike most limousine services in Portland, we offer a Portland fly & dine service that our customers rave about. We take you on a helicopter ride with breathtaking views of Portland, and then we transport you via limousine to a five star restaurant in the city. It is a perfect way to surprise your significant other with a romantic evening that they will never forget. Our drivers have a vast knowledge of the Portland area, and know all of the enticing spots to check out in the city. 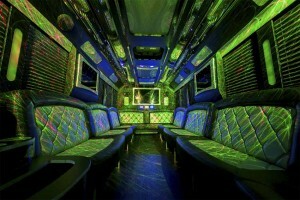 All of our limousines, party buses and town cars are fully insured, along with our chauffeurs. We stay vigilant when it comes to repairing and maintaining our limousine fleet. All of our vehicles have passed complete inspections by certified master mechanics, and we thoroughly clean the inside and outside of our limousines after they are used. We make sure that we hire friendly and responsible drivers by having them complete driving skill tests and background evaluations. The better the driver, the better the limousine experience. We understand this, which is why we aim to hire only the best chauffeurs that we can find. We offer the best limo service at the most reasonable price in Portland. Our headquarters building is situated near downtown Beaverton, off of highway 217. Our HQ is just a simple and straightforward 15 to 20 minute drive away from Wilsonville. 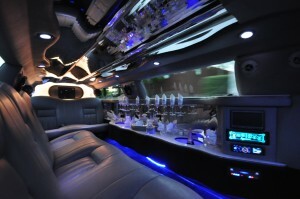 If you are planning on hiring us for limo service, we encourage you to come and check out our office. We will let you inspect our vehicles and introduce yourself to our chauffeurs. Contact us today by phone or on our website to get a free quote for our services.